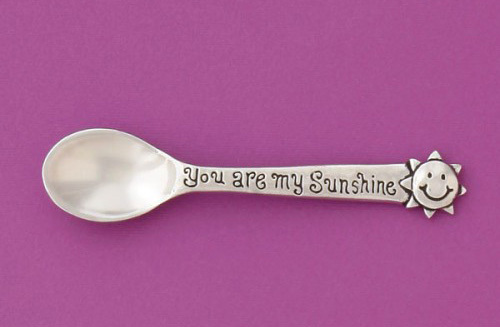 This sweet lead-free baby spoon features a happy sun on the handle. The text reads "You are My Sunshine" and comes in a gift box. Great gift for baby shower, baptism or christening. Approximately 4.5 " in length.